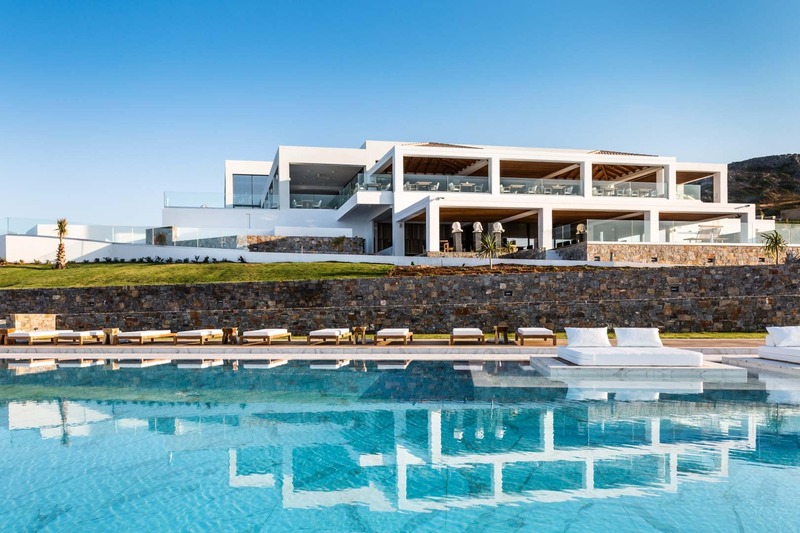 Abaton Island Resort & Spa is a five-star beachfront luxury hotel in Crete Island, which opened its gates on April 20, 2018! This luxury Cretan Hotel combines art with unique luxury trails. 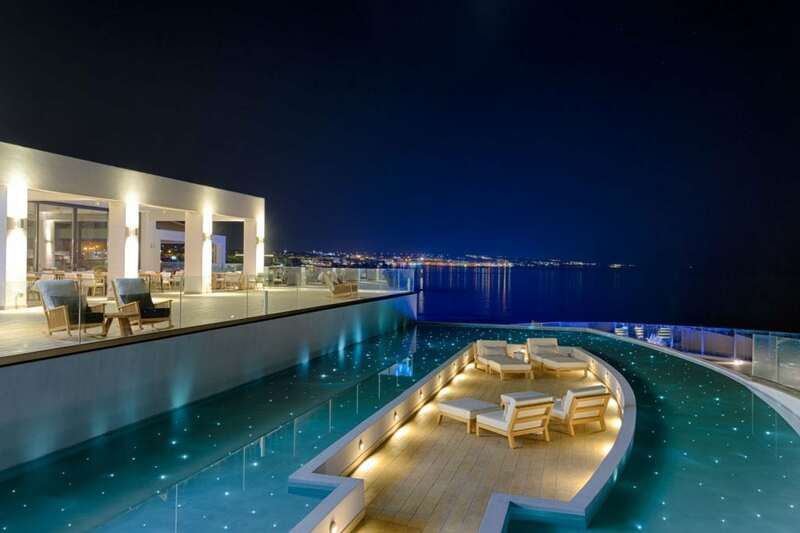 The hotel reflects the very essence that is inherent in Crete island. In its architecture, modern chic is combined with tones and textures borrowed from local Cretan folklore. Tranquillity in an instant can be changed to an active pastime: a short walk, and you will find yourself in the heart of Hersonissos. This luxurious SPA hotel is built in a spacious area with a breathtaking sea view. It offers stylish rooms and suites and a wide range of high-end services. 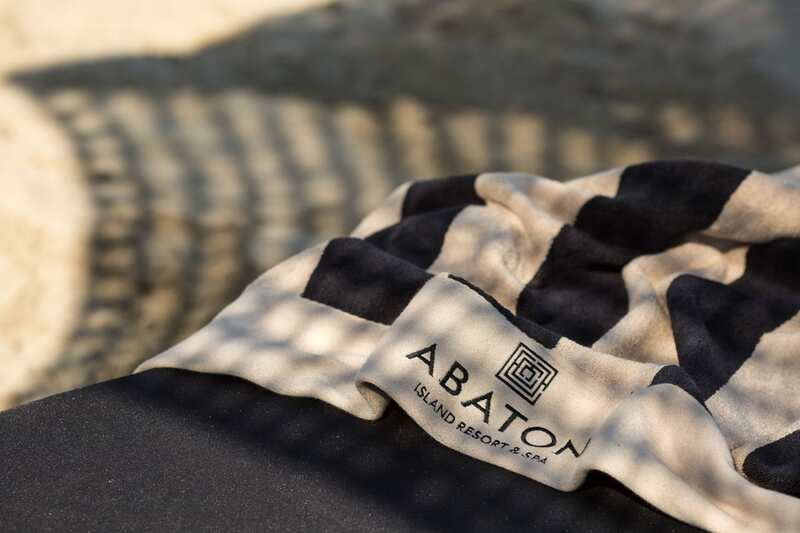 Abaton Island Resort is located 27 km from the Heraklion International Airport, and 2 km from Hersonissos. Evening entertainment: Hersonissos city (2 km). Both sandy and pebbly, an open coastal strip, is equipped with everything necessary for a comfortable time on the beach. The Main Restaurant serves a variety of the Mediterranean and international cuisine. Open for breakfast and dinner. Bony Fish Restaurant specializes in seafood dishes. Open for lunch and dinner. 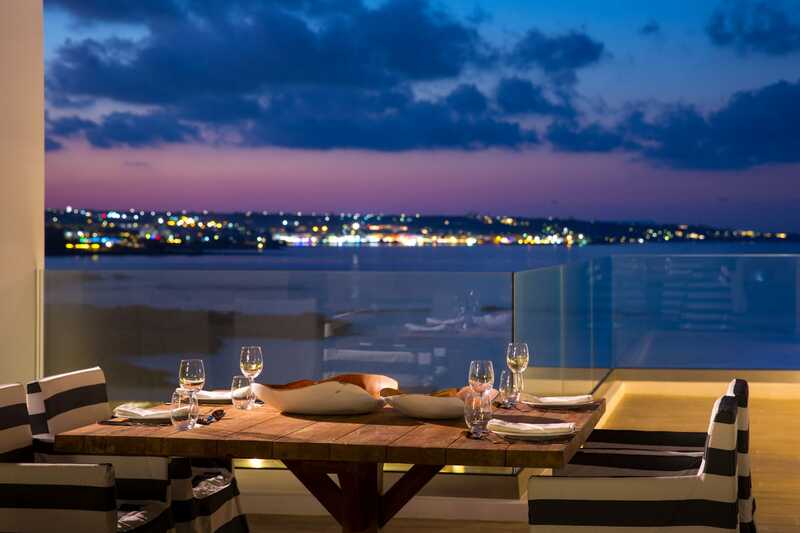 Elemis Restaurant serves traditional Cretan dishes made with local ingredients. Open for breakfast and dinner. Wow Sushi & Steak Restaurant prepares meat dishes and sushi. Open for dinner. 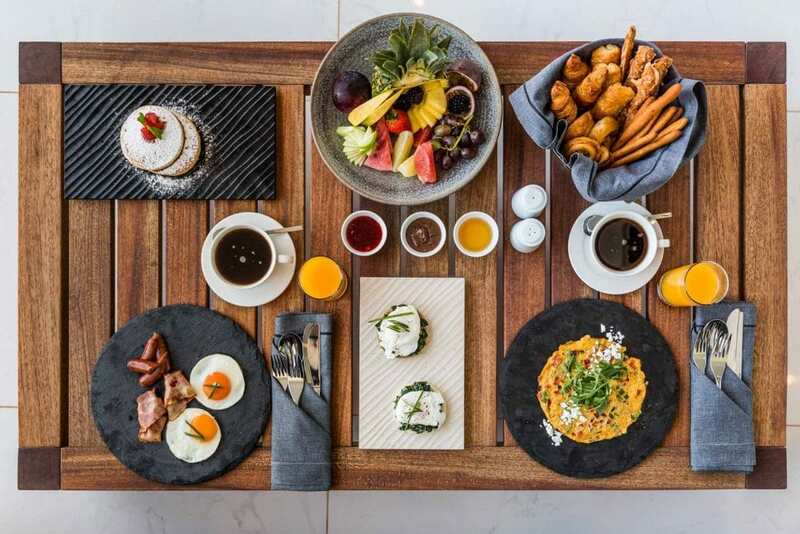 C'est La Vie - a beach bar offering light snacks and drinks. Open throughout the day. The Ladies & Gentlemen lobby bar with a sea view is a great place for an aperitif or an evening cocktail. Open throughout the day. Room service is available on a 24/7 basis. 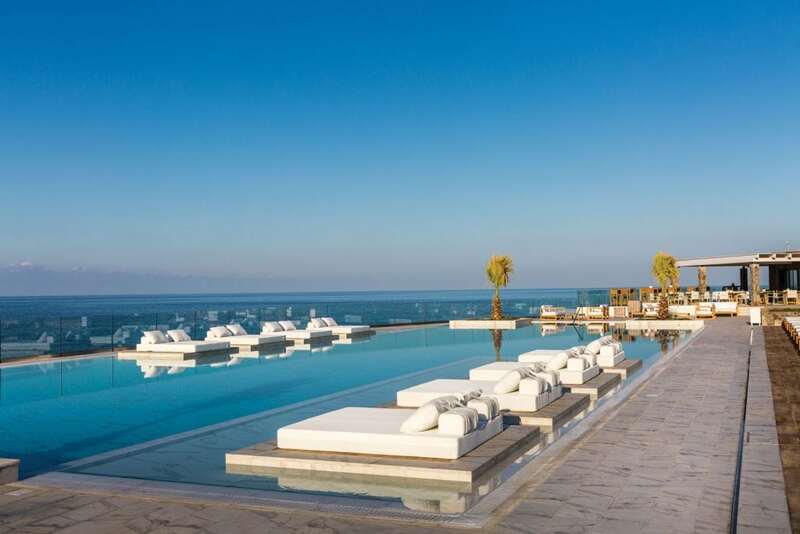 The Deep Blu guestroom offers an idyllic, unobstructed view over the cobalt Cretan Sea and promises to provide you with an indulgent and relaxing experience. From your private, furnished balcony, you can peer out at the resort’s spectacular grounds and take in the beauty of the Mediterranean surroundings. Look up at the evening stars whilst you sip a refreshing sundowner made available to you by the fully stocked mini bar, or enjoy the invigorating sea breeze over a cup of morning coffee, which you don’t have to leave the room for since convenient tea and coffee station complete with Nespresso machine is provided. Capturing the spirit of island living and coupling it with modern luxury, this upscale guestroom is equipped with contemporary furnishings and a sizeable bathroom that could only be surpassed by the unbeatable attraction of a private outdoor Jacuzzi. This means that you can unwind in the fresh Mediterranean air and peaceful Cretan landscape accompanied by a glass of champagne or drink of your choice from the fully stocked mini bar. The deluxe king-size bed is equally inviting, with heavenly 300 thread count linen. 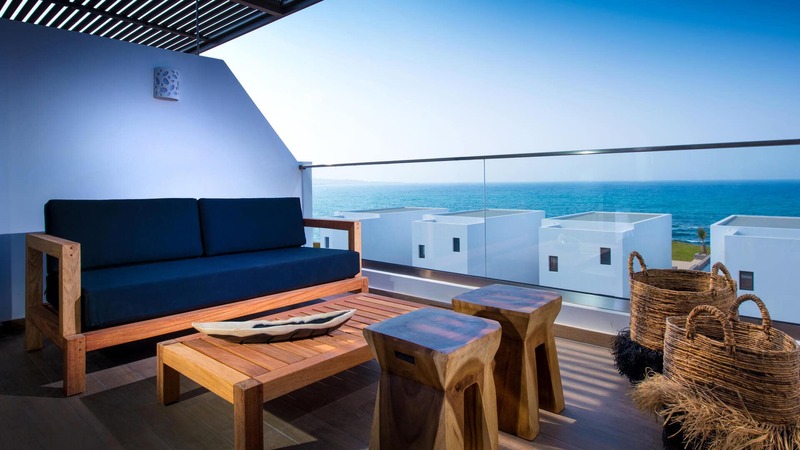 Nestled at the highest point of the resort, this dual-level suite features captivating sea views and the unbeatable attraction of a private outdoor Jacuzzi. With a stylish living area and separate bedroom, the Abaton Collection Suite will give you all the peace and seclusion you desire. For days when you need to escape the Cretan sun, you can relax in a beautifully furnished living space that includes individually controlled a/c, complimentary Wi-Fi, a state-of-the-art flat screen TV with international channels and CD/DVD player, a safe deposit box for your valuables and a direct dial phone. This modern, spacious guestroom will have you experiencing the laid-back island lifestyle à la mode. Featuring a 15m² private pool set on a secluded patio, it is the perfect space for lounging and relaxing in style. It has a king-size bed with luxurious 300 thread count linen and pillow menu, making your stay as comfortable and indulgent as possible. Equipped with the same standard of elegant furnishings and amenities as the Abaton Island Resort & Spa, no detail has been overlooked. With in-room facilities that include individually controlled a/c, complimentary Wi-Fi, a state-of-the-art flat screen TV with international channels and CD/DVD player, a safe deposit box for your valuables and a direct dial phone. A fully stocked mini bar is provided, catering a selection of cold refreshments to ease the heat of a summer’s day. 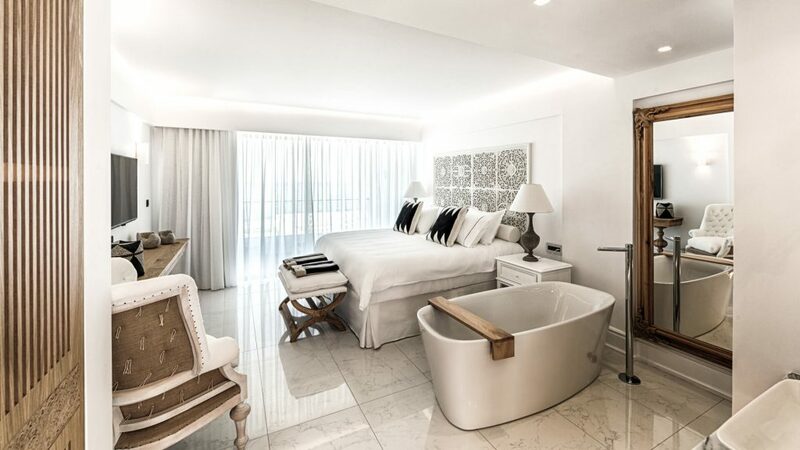 These innovative Abaton Collection suites feature a stylish shared pool and are split-level, comprising a spacious ground floor living area and an upper open-plan bedroom with sea views so magnificent they are bound to take your breath away. Luxury lounge chairs are set right by the water’s edge, so cooling down from the Cretan sun is effortless. 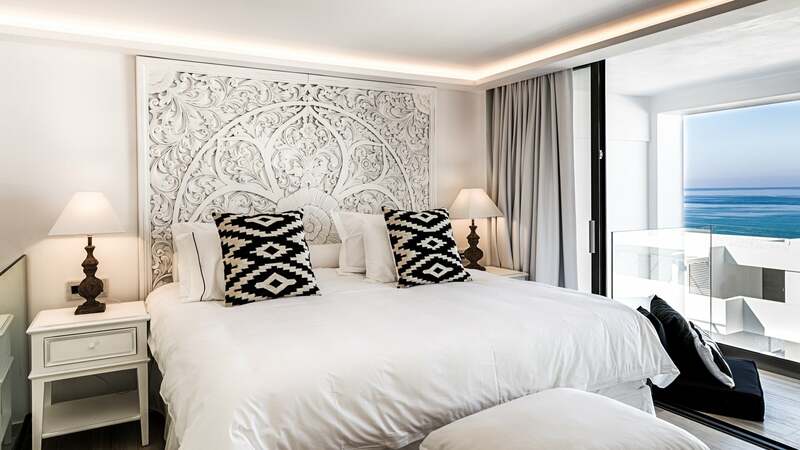 Alternatively, you could escape the outdoors completely and sink into a deluxe king-size bed, decked with heavenly 300 thread count linen to ensure ultimate relaxation. 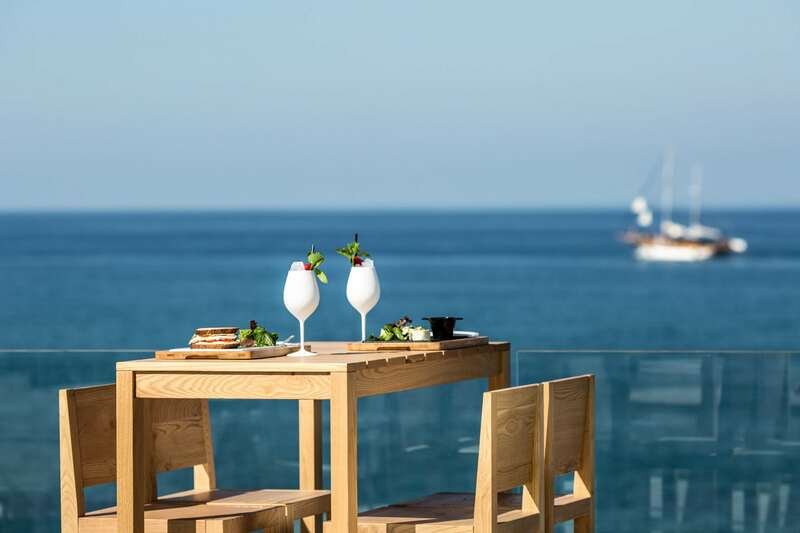 The Abaton Collection Suites are perched at the highest level of the resort, positioned perfectly to reveal the captivating beauty of the Mediterranean Sea. These split-level units offer a plush living area and separate king-size bedroom, creating the perfect space for a stylish stay. Complete with a private plunge pool and an elegantly furnished patio that overlooks the azure waters, this suite is the best way to spend a summer’s day in Crete.